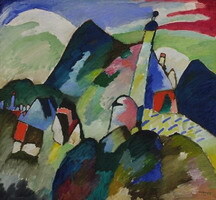 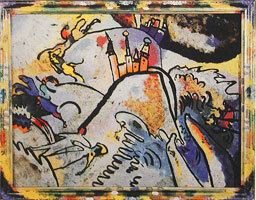 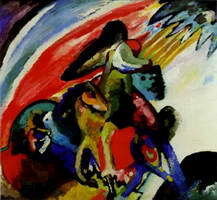 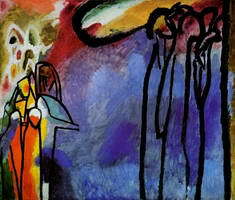 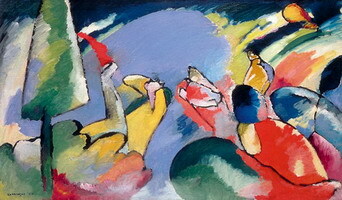 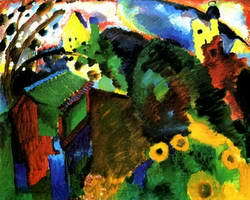 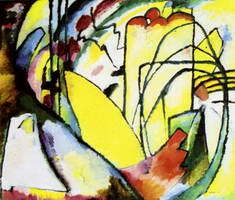 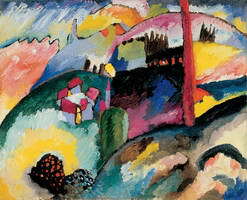 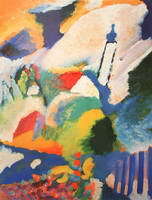 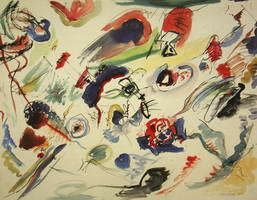 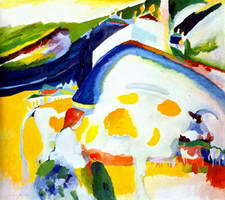 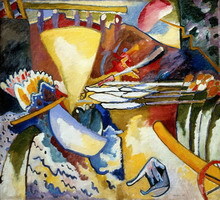 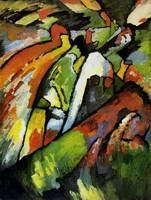 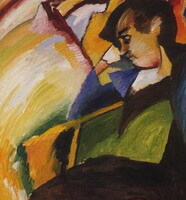 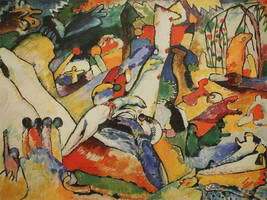 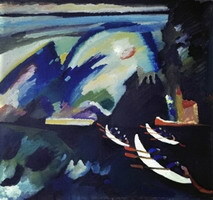 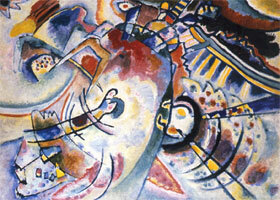 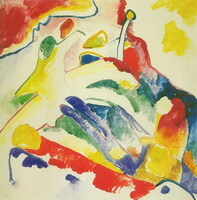 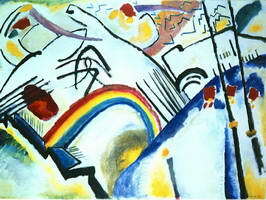 In Murnau, a small picturesque town near Munich, Kandinsky’s art begins to change. 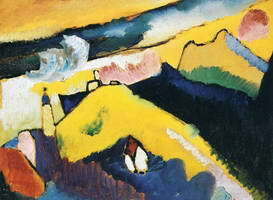 His bold new approach to simplicity of forms and expressiveness of color was obviously influenced by fauvists, Gauguin, Van Gogh and all other things new that his nature of someone always being thirsty for new knowledge absorbed during his tours of Europe. 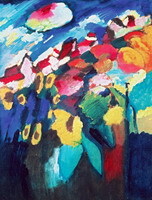 His brushstrokes are so large now that it no longer is a part of creating the shapes and forms, it is a form all in itself. 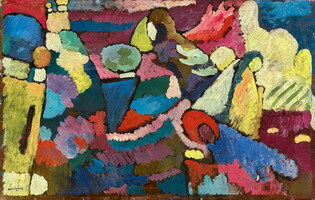 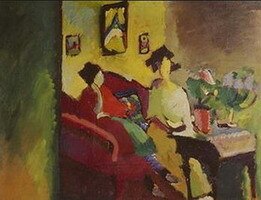 The color is disengaged from its descriptive function and powerfully reveals its own authentic expressiveness. 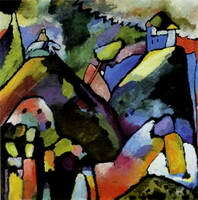 The reality of the landscape is dissolved in the searches for authentic internal beauty.